How much does it cost to be a member of the Rotary Club - Burnaby Deer Lake? Annual Club membership fee is $240. This fee is waived for Rotaractors in their first year with the Club. Breakfast costs anywhere between $0 if you choose to have nothing to $15 if you have the full breakfast. Club meetings last one hour and fifteen minutes on the first and third Thursday of the month starting at 7:15 AM. You should attend at least 12 meetings a year but some members with other commitments attend no meetings but do volunteer work and are active in the club. The median number of volunteer hours is about 2 hours per month with some Club Members volunteering up to 500 hours per year and some less than 5 hours per year. What volunteer activities would I be able to do? A few of the activities that Club members undertake are to provide “Boots for Kids” in the elementary schools, provide a pancake breakfast for an elementary school in Burnaby, help with international exchange students and stream clean ups and fish releases. 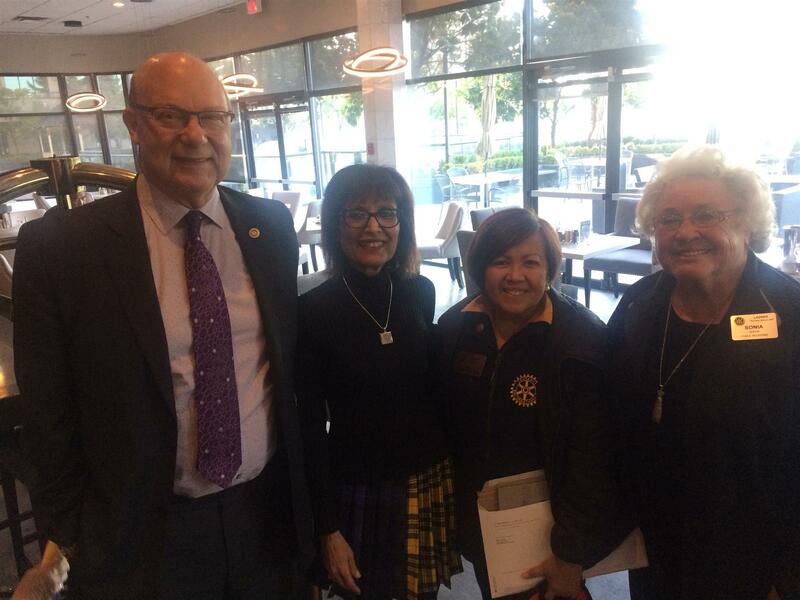 Internationally, Rotarians in our Rotary District can be found on almost every continent. Some of our Club members volunteer in Uganda, India, Costa Rica and the Philippines. I am not retired yet. Should I join? Rotary is flexible so that you can do as much or as little as you want. Our newest members range in age from 30 to 65 years old. English language students try out their communication skills.